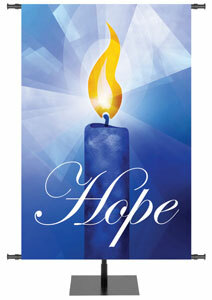 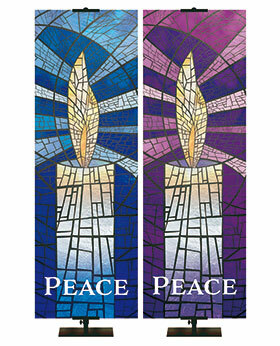 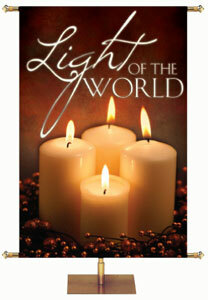 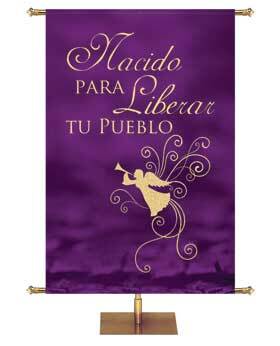 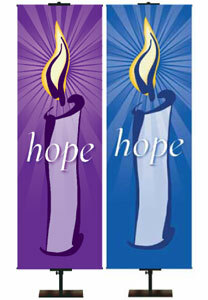 Our elegant candle banners in the colors of Advent - blue, purple, and white - proclaim Hope, Love, Joy, and Peace. 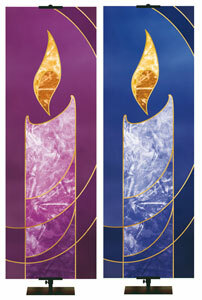 Angel banners in shimmering foil announce the arrival of the sacred season of Christ's birth. 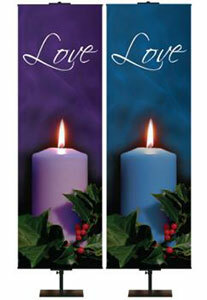 We also offer personalized custom assistance for your own creation. 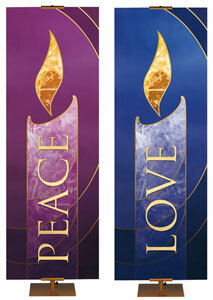 Select any of these fabric designs or let us customize a banner for you. 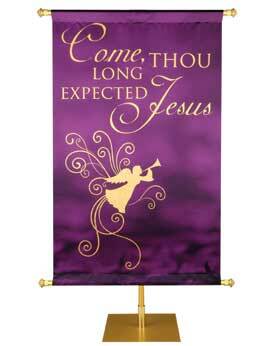 Our stock banners can be shipped out quickly.